Dr. Neal Schultz is not only the premiere dermatologist to every Upper East Side celeb and socialite, but he’s also a skinnovator who uses his creativity and medical expertise to change the aesthetic landscape. We dished with this doc to see his prescription for battling the winter skincare woes. The fluctuation of the weather confuses both our skin and our wardrobe so how do we solve both problems: layering. To prepare for the unpredictable temperatures, stock up with style staples like cashmere scarves, vintage t-shirts and boyfriend blazers. For the face, we have an easier routine: BeautyRx. Begin your beauty regimen with BeautyRx Advanced Exfoliating Therapy Pads to gently remove those unwanted dead cells that inhibit the lustrous, bright, and smooth skin everyone craves. Plus the more you use it, the greater the results will appear. Next we move on to the protection of the BeautyRx Protective Vitamin C Rescue Serum to fend off free radicals and oxidative stress. Give your skin a daily dose of Vitamin C and BeautyRx’s proprietary antioxidant compound, Triantiox™, to keep skin looking youthful and radiant. What’s the last product in the trifecta? 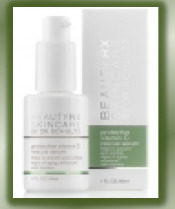 BeautyRx Maximum Solar Defense Sheer Cream SPF 50. 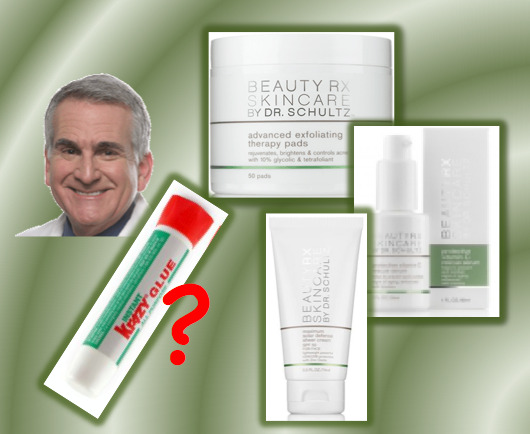 What Else is Dr. Schultz Recommending Your Pack in Your Beauty Arsenal? Krazy Glue! Turns out this household must-have is great for quick at-home fixes to furniture, nick-knacks and…skin!? The colder, dryer weather brings its own set of special seasonal skin problems, including very painful fingertip cracks. But as painful as they may be, they're amazingly easy to fix, especially if you treat them early. So once cracks appear, 24/7, apply a generous amount of any ointment like Vaseline, Aquaphor, or antibiotic ointments like Bacitracin and Polysporin, and cover immediately with a band aid. Reapply as often as needed to keep it in there 24/7, and within two to three days you'll see a great improvement. And, as krazy as this may sound, if you catch that crack early, and don't want to reapply ointments and wear band aids, apply a few layers of Krazy Glue over the crack. You'll get rapid healing and pain relief. And when it's better, don't pick off the dried glue; allow it to peel off naturally in one to two weeks. For more skincare tips, head over to DermTV.com and sign up for his weekly newsletter and snap up BeautyRx at www.beautyrx.com.